Radio Disa 95.9 FM Grabouw Live Online . It was founded with the soul purpose of preaching the Message of Reconciliation. Reconciling man to God, husband to wife, children to their parents etc . It was started in June 2013 . 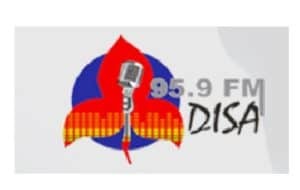 Use Google chrome to listen this radio station in all devices . Physical Address: c/n ouderberg / N2 Grabouw . Listen South Africa Radio Stations Online Copyright © 2019.